The Laboratory for Molecular Modeling and Drug Design was established in March 2009, at the Faculty of Pharmacy of the Federal University of Goiás. Our research group is focused on designing of new drug candidates for infectious diseases such as Chagas disease, schistosomiasis, leishmaniasis, malaria and tuberculosis, as well as for cancer. Another important goal of our group is the development of predictive models for pharmacokinetics and toxicity properties. 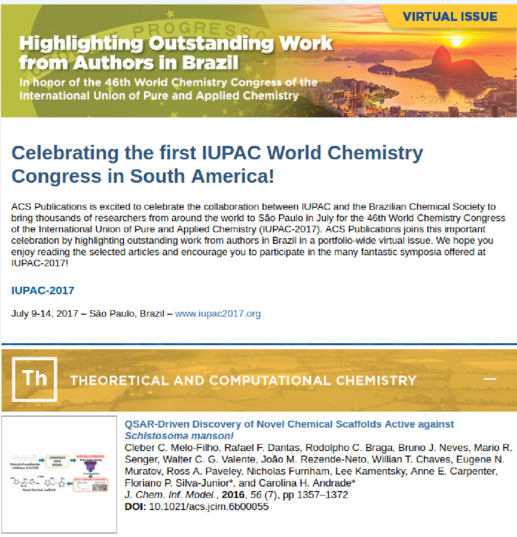 The work developed by our group has resulted in publications in international indexed journals, abstracts, dissertations and awards in national and international meetings of Medicinal and Computational Chemistry area. © Copyright 2017 LABMOL. ALL RIGHTS RESERVED. DESIGNED BY RODOLPHO C. BRAGA.